Comment: New home in Johannsen Farms subdivision. Budgetary pricing for driveway and walkway along garage. Provide details for concrete thickness and flat mesh embedded. Estimated start late summer after house completion. Comment: 4-season room floor and step settling. Want to raise both back to original level. Sussex Concrete Contractors are rated 4.78 out of 5 based on 190 reviews of 24 pros. 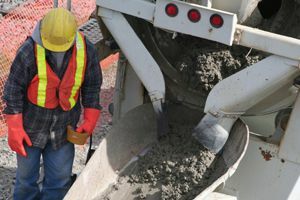 Not Looking for Concrete Contractors in Sussex, WI?